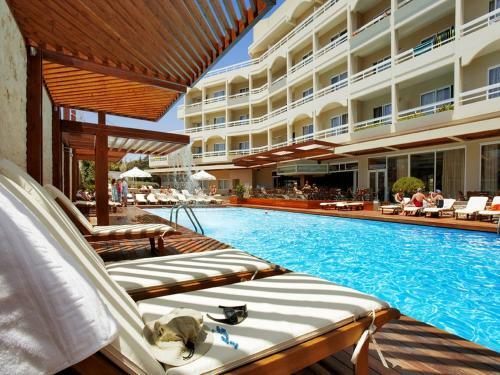 Situated just opposite Psaropoula Beach, Blue Sky City Beach Hotel features a pool with hot tub area and a cocktail bar. The 4-star resort offers air-conditioned rooms with DVD player and private balcony. 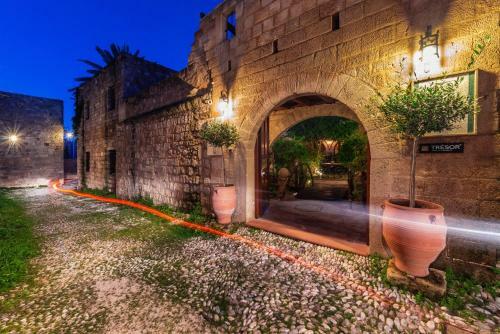 Rodos Niohori Elite Suites Boutique Hotel is set in a traditional house, a 5-minute walk from the Rhodes Casino. It offers luxurious suites with 2 satellite LCD TVs, and a pebbled breakfast courtyard. Hotel Athineon is located in Rhodes island, a five minutes' walk from the Old Town, the historic centre and the port. It features an outdoor swimming pool, free wireless and wired internet, a sauna and a gym. Located on the seafront, close to the magnificent Medieval Old Town of Rhodes, Hotel Riviera is a great base for a holiday full of sea, sun, culture and nightlife. Avalon Boutique Hotel is situated in the heart of the Old Town, by the Grand Masters' Palace on the Street of the Knights. The Archaeological Museum is right next.